We have often discussed the Sabbats as the primary days in which Practitioners of the Craft perform Rituals. In the Wheel of the Year, there are eight total Sabbats that occur at regular intervals, approximately every month and a half. The Greater Sabbats include Imbolc, Beltane, Lughnasadh, and Samhain while Ostara, Litha, Mabon (or Madron), and Yule constitute the Lesser Sabbats. While these days are generally considered a time for celebration and enjoyment for Wiccans and other followers of the Craft, there are other days of Ritual that require very strenuous work. These are referred to as Esbats. The most common Esbats occur during the ending stages of a full moon and the start of a new moon, about twice a month. However, these are not the only Esbats. In fact, Doreen Valiente needed to specify between Esbats associated with the Lunar Cycle and others, as many Practitioners mistakenly believed that Esbats were only held during Full Moons, twelve times throughout the year. Though one must not compel an Esbat when it is not wholly necessary, an individual may perform an Esbat at any time. For example, many Wiccans hold Esbats during the eclipses, during the passing of a comet, and at certain significant moments of celestial orbits, such as when the paths of Uranus and Pluto cross. Nonetheless, as the Lunar Cycle will inevitably continue its routine each month, these are the only definite Esbats throughout the Wheel of the Year. Each of the occasions is considered to be a transition stage for the Goddess, not instinctively to be celebrated as in, but to be observed and to attempt to understand the changes at hand. The Esbat is the time for the practitioner to put their best effort forth in order to pray and demonstrate to the Goddess how he or she has developed their skills with the hopes of becoming more in touch with the inner workings of the Universe. At an Esbat, the Circle is almost certain to be cast. 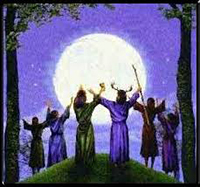 The members of the Coven or the Solitary will then go through their routine, beginning with entering the Circle, then the instruments, the chanting, then the mental techniques. However, the most unique feature of the Esbat is the Invocation of the Goddess. Most qualified practitioners who have mastered the art of Invocation have sought to achieve a medium state in order to feel the presence of the Divine. Others have done so in the attempt to acquire a piece of knowledge from the Goddess. The purpose of this is to feel at one with her, and attempt to reach out to her to acquire greater wisdom. While connecting with the Divine is the primary purpose of the Ritual during the Esbat, it is by no means the Practitioner’s only goal. The two peaks of the Lunar Cycle, especially the Full Moon, as well as significant changes in the Celestial Sphere, are of great magnitude to followers of the Craft. This is a ripe time for Spellcasting. There is a general Full Moon Spell, in which Practitioners may combine their collective aspirations and the desires of others with the goal of Casting a potent Spell. 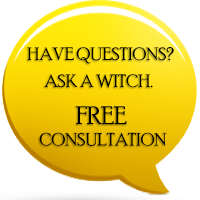 But this is also the best time to perform individual healing and love Rituals, Initiations, and altruistic Spells for the betterment of mankind. 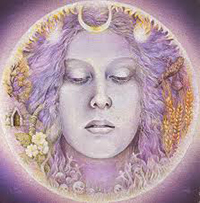 It is common that during the Esbats the experienced Wiccan sets out to accomplish many distinct goals. This is why such a great amount of energy is exerted, and intense focus is required. Essentially, the Esbat is the time at which the Practitioner exhibits the skills they have acquired through their life’s work. Thank you for what you do for us. Blessed be unto u my master. Am Andrew and I really want to know the real life in ur kingdom pls don't reject me I promise to serve u with my whole life. Thanks.